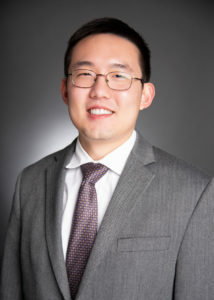 Jarter Gao is a 2016 graduate of the Georgia State University College of Law. He focused on tax law and estate planning and loves the practice of law in these areas. Jarter’s duties involve pretty much every aspect of running the firm, but his primary focus is on the tax work. With a natural affinity to tax and estate planning and the skills and knowledge gained through his work in the GSU College of Law Low-Income Taxpayer Clinic, Jarter is already producing a strong and positive impact on clients’ tax situations. As he furthers his education in the GSU Master’s in Tax Program after work, clients can expect expertise in even more areas of tax law. Jarter is licensed to practice law in the state of Georgia, and is a Notary Public in the State of Georgia. He is admitted to practice before the Superior Court of Georgia. 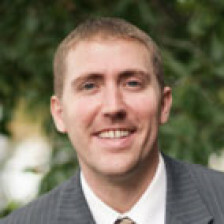 Jarter is a member of the Business Law, Elder Law, Employee Benefits Law, Family Law, Fiduciary Law, International Law, and Taxation Law section of the Georgia Bar. Jarter earned his law degree at the Georgia State University College of Law where he focused on tax and estate law. In addition, he worked in the GSU College of Law Low-Income Taxpayer Clinic where he received the prestigious Dean R. Morley Tax Clinic Award and the Gordon and Ava Hartman Fellowship for his dedication and excellent client service. During law school, Jarter performed more than 50 hours of pro-bono service as a volunteer at various organizations including the Atlanta Volunteer Lawyers Foundation and Hands on Atlanta. Jarter served as Vice-President of Membership and Treasurer of the Intellectual Property Law Society and Secretary in the Asian American Law Student Association. Jarter earned his Bachelor of Science from Georgia Tech, majoring in Mechanical Engineering. He graduated with High Honors and received the Co-op distinction for his participation in the Co-op program at Georgia Tech. Jarter also made the Dean’s List for all semesters as a full-time student. Jarter is currently working towards his Masters in Tax with night classes at the Georgia State University College of Business. Jarter is conversational in Mandarin Chinese. He lives in the Mayfair Towers Condominiums by Piedmont Park in Midtown Atlanta. On the weekends, he spends his time jogging around Piedmont Park or enjoying a meal at one of the many local restaurants in the area. As an avid reader of both fiction and non-fiction books, Jarter also frequently visits Starbucks and you will frequently find him in a corner with a cup of coffee and his nose buried deep inside a book.